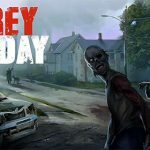 Have you played Last Day On Earth Survival yet?. 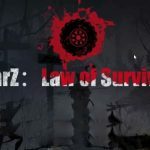 Its marvelous survival game, creepy open world game full of zombies and resources hunting gameplay. 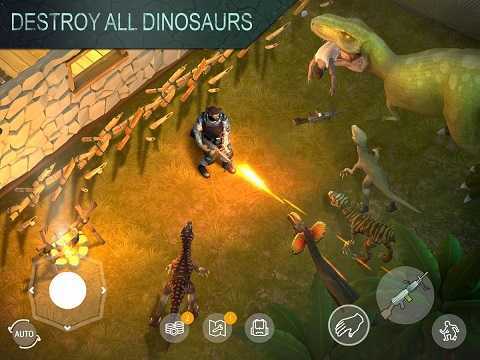 now what if you erase zombies from LDOE and add dinosaurs instead of zombies. 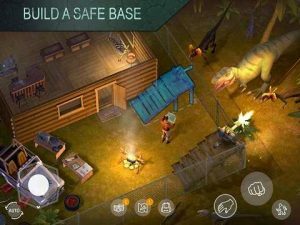 you will get Jurassic Survival MOD APK which is from Mishka Production. i have pretty much enjoyed every bit of LDoE. 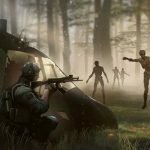 amazing detailed worlds full of zombies and different materials,unexpected loot parts and of course crafting different tools. 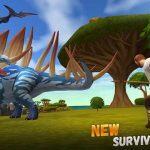 Jurassic Survival MOD APK just released in the P.S. MOD APK is avaialble now with free crafting,free shopping and split items MODs. Last Day On Earth is still winning in the play store. appearing in almost all countries in top free games charts. then developers started to clone most famous games. LDoE is on target this time. Jurassic Survival MOD APK is 90% same as LDoE but what here you will get is dinosaurs. its already getting positive reviews from the players. 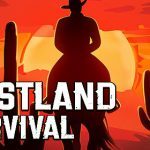 people who loves dinosaurs will surely follow jurassic survival instead of LDoE. Game is almost same as LDoE. from loading screen to gameplay part and loot parts everything is ditto copy. one thing they did good is that they have added dinosaurs in the game. Gameplay features same features like crafting different tools with different materials,gathering loots and making your home base. visit different locations to gather more higher loots. 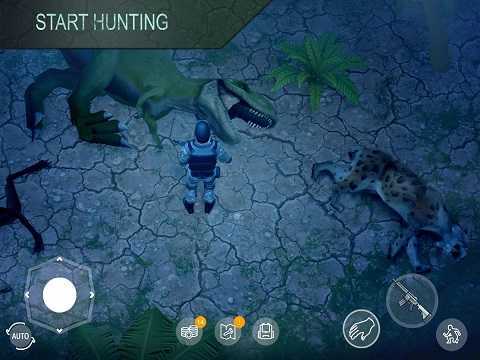 counter with many different dinosaurs and of course kill different A.I players to take their loots. Jurrasic Survival MOD APK is an amazing survival action game which runs online. most addictive part of this game is roaming and gathering different items. leveling up your character and craft more powerful tools. 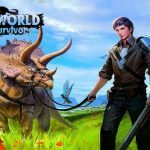 since you will be using Jurassic Survival MOD apk you can free craft weapons,buy items free with coins and even split items MOD is added for more addictive story adventures. if you have played last day on earth then you should try jurassic survival dinosaur as well. its an amazing survival game. 1. Duplicate of things Including single items. 3. All drawings are available immediately. Hey @rg is this mod on same servers as players who downloaded from playstore? RG why cannot build fueltable and archivtable..?? like electronic table and cant craft bomb .. it say added to inventory but nothing there. even i cant build brewer. is the mod already fixed rg? RG this apk is not working properly after duplicate things start to disappear after crafting things don’t work ???????? 2. Even if you split items, these items are available on screen, but in actual these items can not used. 3. Same in food, suppose I split I food and I get 10 food, but when I consume all 10 are gone in one shot. In LDoE , item split is real , here it’s on visual mode. 1. Duplicate of things Magic Split=Error Single Split=Ok. 2. Craft and construction without resources=Ok. 3. All drawings are available immediately=Error. 4. Coins in plus=Error (In * – *). 5. Strength of weapons and equipment=Error. 6. Rapidly quenching hunger and thirst + health to maximum=Half. I can’t find the transmission for the jeep even after reaching level 60. Many of the furniture are not appearing after i have crafted it or they can’t be placed in contruction mode. Some of the armour or packs crafted just shows it in plain white. Is there a fix to this? Would you do the mod for the latest update, 1.1.0? There’s no way you can kill a T-rex on the T-rex’s nest event yet unless your health won’t decrease or it’s more than 1000. They might be future updates that we may need to wait and maybe we can kill the those T-rex on it’s own event. I hope this’ll help. If you need chopper gas tank, then just use game guardian to modify fuel script to chopper script, it also work on atv tranmission ( but atv can be finalized yet, so wait for the next update from keefir). That’s right bro. Can’t moves. Rg, Bro can you bring back the crafting that without level required. can’t craft some item, and some item while using make error and stuck downloading. guys, the bug on the enemies’ health is also an issue in the playstore version. It’s not connected with the mod. Lol the enemy had unlimited health with this mod! Fix it plz. Bro,, fix the bugs, always pee and some tools cant see when craft. they dont yet put bomb in the game..RG please fix the pee man..everytime we eat or use medic always wanna make a pee..
Me too, cannot play /hunting /leveling, always pee after eat or using first aid. jurassic survival please update rg..
coins only add when buying on shop and buying energy but not on skipping time on productions..
RG Single item duplicate please. Why after lv 50+ the item cant be build? The coin increasing dose not worn . Rg. Please make unlimited money or unlimited energy. I falling in love with this game. Thanks for u hard work.